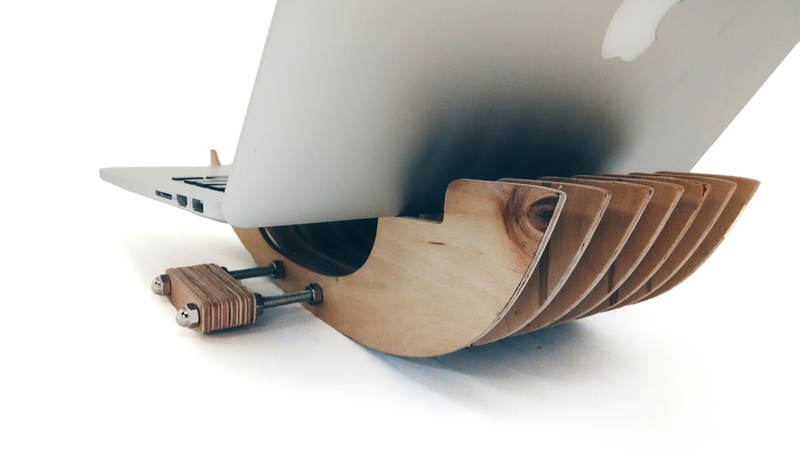 Swing is a laptop stand that I designed and created in an engineering design class at UC Berkeley. It was one of the first classes offered through the Jacob's Institute for Design Innovation and taught the basics tools of digital fabrication: Illustrator, 3D printing, laser cutting, CNC milling, etc. Where do I use my laptop? What do I want to have in my work environment? What else do I use while using my laptop? 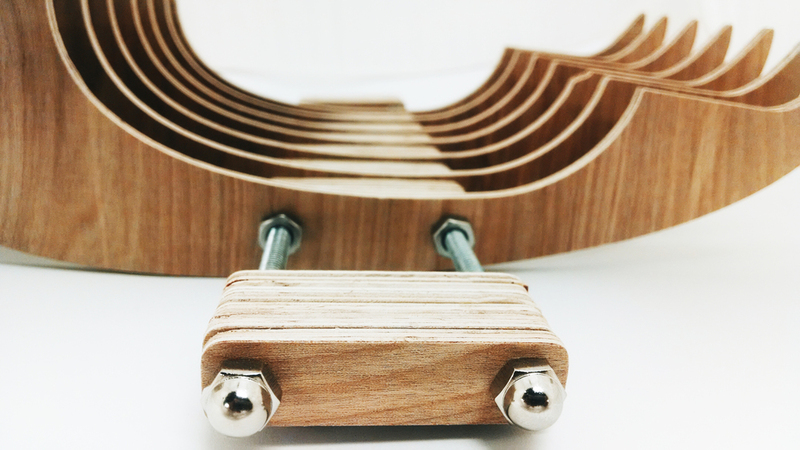 Design for flatpack + assembly. Initially, I wanted to create a solid laptop stand. After prototyping, however, I realized that slices would be much more efficient material wise, and allow for better ventilation. Designing for flatpack and assembly would be more efficient in terms of the creation of the parts, the time it would take to put everything together, and the ease of doing so.